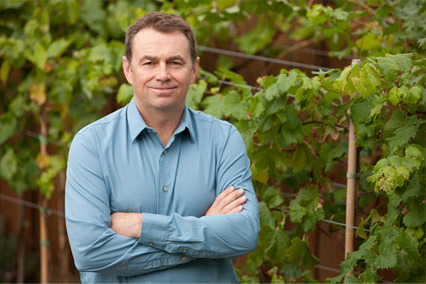 Seaside Pearl’s wines are re truly a showcase of the talent of our Winemaker, Mark Simpson. Mark is highly recognized for producing high quality, distinctive hand-crafted wines. A winemaker to watch, Mark’s Siren’s Call wine won a 2015 BC Lieutenant Governor’s Award of Excellence in Wines. Mark has had the privilege of launching some authentic BC wine brands. Mark is a firm believer that the start of every great wine begins in the vineyard and he is passionate about crafting wines that express a sense of place. Mark’s philosophy to winemaking: Develop the best fruit flavours and retain these flavours during winemaking. We tasked Mark with setting out to create wines that fulfill our dream, where boundaries will be broken and love for what he makes will be the only guide. Mark will cultivate, create and share the wines we love. Mark’s winemaking philosophy is simple, combine exceptional fruit with traditional winemaking to create wines that are a unique expression of this terroir. Mark is committed to crafting wines that are true to varietal character. He’s bound to have hand crafted a wine that’s just right for you.